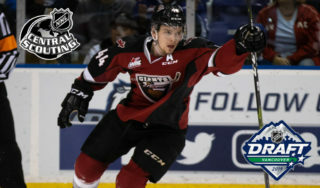 The Vancouver Giants are coming home with all six available points from their trek through the B.C. Division. Saturday night in Prince George, B.C. the Giants held on to earn a 3-2 victory over the Cougars. 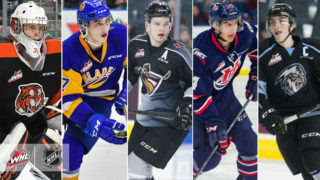 Bowen Byram, Parker Hendren and Milos Roman supplied the goals for Vancouver while Trent Miner earned his second victory of the season, turning aside 32 of the 35 shots fired his way. Joel Lakusta had both goals for Prince George who got 25 saves from goaltender Isaiah DiLaura. Joel Lakusta opened the scoring for the Prince George Cougars in the final minute of the first. His shot from the slot appeared to switch directions before it made its way past the glove of Trent Miner. The Giants were outshot 9-8 in the opening period and were down 1-0 through 20 minutes. Early in the second period the tide turned after Cougars forward Josh Maser was ejected from the game for a five-minute slewfooting major penalty. Giants forward Justin Sourdif was on the receiving end of the slewfoot, and had to be helped off the ice. He didn’t return. Milos Roman ensured that the Giants earned some form of revenge when he one-timed his first of the season past DiLaura off a corner feed from Bowen Byram. 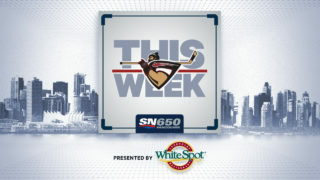 Then at 10:20 of the second, Vancouver took the lead when rookie defenceman Parker Hendren’s shot from the right point found its way in through traffic. For Hendren it was his first career WHL goal, and it was assisted by Lukas Svejkovsky, who just a day earlier scored his first WHL marker. Bowen Byram padded the Giants lead to 3-1 in the final minute of the second when he glided through a pair of Cougar defenders and slid home a backhand past a diving goaltender for his second goal of the 2018-19 campaign. 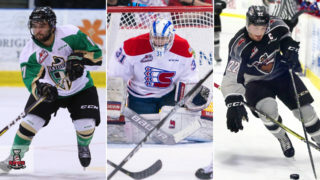 Byram’s goal would prove to be vital as the Prince George Cougars mounted a strong comeback bid in the final period. Joel Lakusta netted his second of the game on a Cougar power play a 4:09 of the first period to move the home side back within one. And from there the Cougars continued to apply pressure. Trent Miner was under siege for much of the period, and made 14 saves on 15 shots fired his way. Late in the period, with the Giants on the power play, the Cougars came inches away from tying the game. Forward Tyson Upper skated in alone on Miner, deked to the forehand and wired a shot off the crossbar that then bounced along the Giants goal line, before resting beside the opposite goal post. Miner spotted the puck in the nick of time, and cleared to safety, keeping the Giants ahead by a 3-2 score. The final buzzer mercifully sounded a few moments later and the Giants mobbed their goaltender having just secured their fourth road win of the season, and their sixth overall. Final shots were 35-28 for Prince George who went one-for-seven on the power play. Vancouver countered with a one-for-two effort on the man advantage. 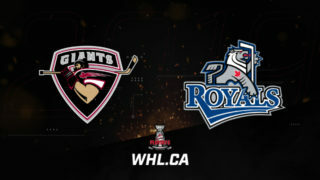 Next up for the Giants – A long trip home and some deserved rest before they kick off a stretch of three games in three nights beginning Friday at home against Kamloops at 7:30 PM. James Malm extended his point-streak to five games when he assisted on Milos Roman’s power play goal. Bowen Byram finished the game with a goal and an assist, marking the second time in seven games that Byram has recorded a goal and an assist. Trent Miner stopped 54 of 56 shots during his two starts this week. 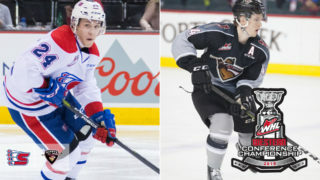 Parker Hendren became the third Giant in seven games to record his first WHL goal. Justin Sourdif (September 22nd) and Lukas Svejkovsky (October 5th) are the other two.